Energy Tanks are, pretty much, the most valuable upgrades you can find in Metroid: Samus Returns. Each tank increases Samus Aran’s total health by 100 points. Essentially, each tank makes it easier for Samus to survive, defeat bosses, and complete her mission without retrying a whole lot. Many energy tanks are easy to find, but a handful are going to be a challenge for even the hardiest Metroidvania fan. Samus Returns includes a new ability that does help on your search — the Scan Pulse. When activated, you’ll scan an entire zone for hidden objects and secret passages. Breakable blocks in the geometry will also be highlighted for a (very) short amount of time. Use this power whenever it recharges in new areas to scout out hidden item locations. That’s just smart thinking. 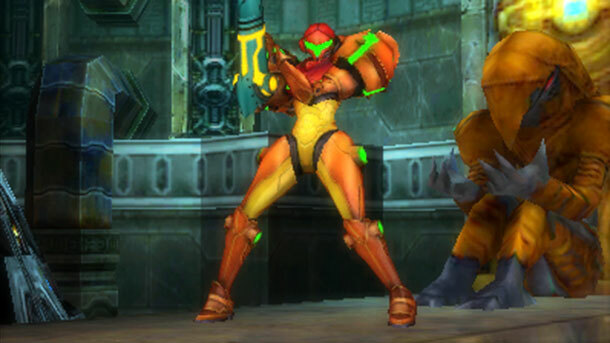 Energy Tanks are upgrades that increase Samus’s Energy by 100 for every tank you collect. Energy Tank #1: In the room to the right of the first Metroid boss encounter. This is the long shaft room directly beneath the Scan Pulse Chozo ruin. At the bottom, use morphball to shrink and collect it. Left of the Charge Beam Chozo statue. Energy Tank #2: Located above the first Metroid encounter in Area 1. Bomb the upper-right corner of the arena to locate it. You can’t miss it — you’ll hit this energy tank while leaving the locked room. Energy Tank #3: Teleport to the middle Teleport Station in Area 2 — it’s on a long two-block vertical shaft, next to the path that leads to the High Jump upgrade. From the teleport station, drop down and use the Wave Beam to open the door blocked by a strange alien. From the Wave Beam door, go left, down and right on the bottom hallway to reach the tank. Energy Tank #4: In the section of Area 3 with the super-hot room, the winding path eventually leads to an Alpha Metroid battle and a puzzle with the Grapple Beam under lava. Right before entering the lower entrance to the Varia Suit zone, the Energy Tank is beneath the door. Use the Scan Pulse to locate it. Energy Tank #5: After lowering the first poison pool in Area 4, you’ll find this energy tank when using the grappling hook to reach the elevator. You can’t miss this Energy Tank. Energy Tank #6: Found in the tall shaft between the first Zeta Metroid encounter and the small lava-filled room. Energy Tank #7: In the Chozo Temple area of Area 5, drop down through the rooftop in the giant open exterior zone to drop through the floor into a passage with red spikes. Use the Grapple Beam to the right to reach the Energy Tank. Energy Tank #8: Past the Zeta Metroid boss battle, continue into the next room. Scan the area and you’ll see there are two items hidden to the right — there’s a long path with break-away blocks that drop Samus into a long pit. Look to the left inside the pit to find a hidden Energy Tank. Energy Tank #9: In the upper section of the area, there are two save points with health stations only one square away. Between these two save stations, there are two passages — an upper passage that’s a straight line, and a lower passage. When moving from the right save point / health station to the left through the lower passage, you can remove a grapple stopper to make a shortcut. Just beneath the grapple stopper, there’s an easy Energy Tank. Energy Tank #10: After the first Save Point in Area 8, enter the passage with yellow liquid. Scan to spot a secret item in the ceiling. Use a Power Bomb to reveal four Screw Attack blocks. Jump up into the area and use your Aeion ability to slow time and reach the Energy Tank.